The great Jack Kirby was born 99 years ago today. How about that! 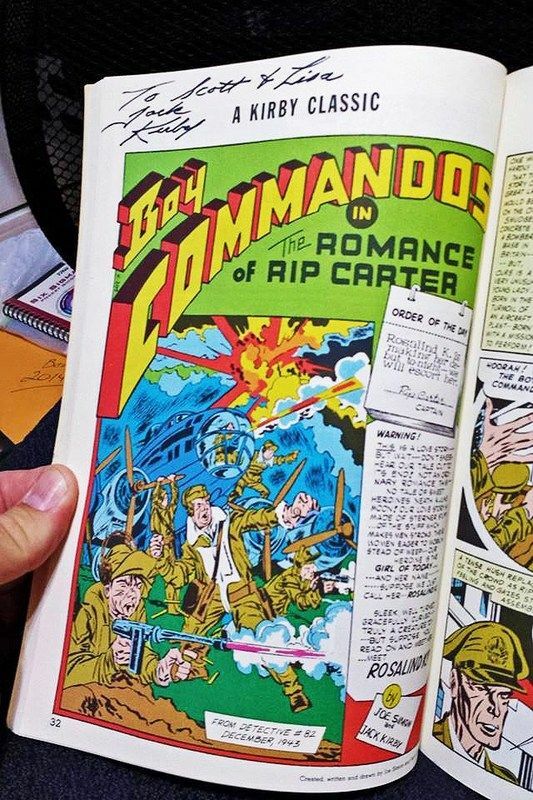 And wouldn't it be a fine birthday present for YOU if a book you ordered through the mail arrived with an unexpected Jack Kirby autograph in it? That's exactly what happened to the man whose hand is pictured in the photo above, and you can read his telling of his tale right over here. You'll definitely want to read over here about how The King's granddaughter Jillian Kirby has been spearheading a campaign to raise funds for comic book creators in need. 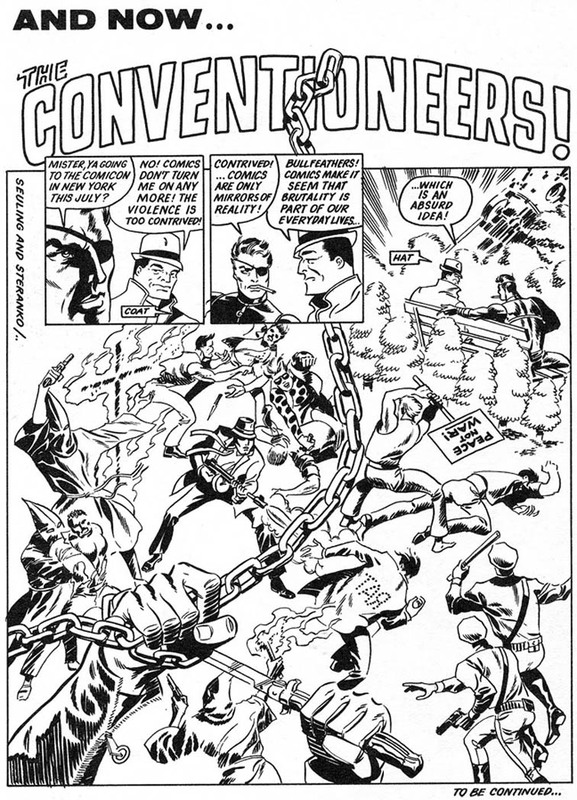 Jim Steranko never drew a story for Not Brand Ecch or Mad, but what would it look like if he had? Probably just like these four pages! This artwork has been around since the late 1960s but I had never seen it until recently and maybe it will be new to you also. 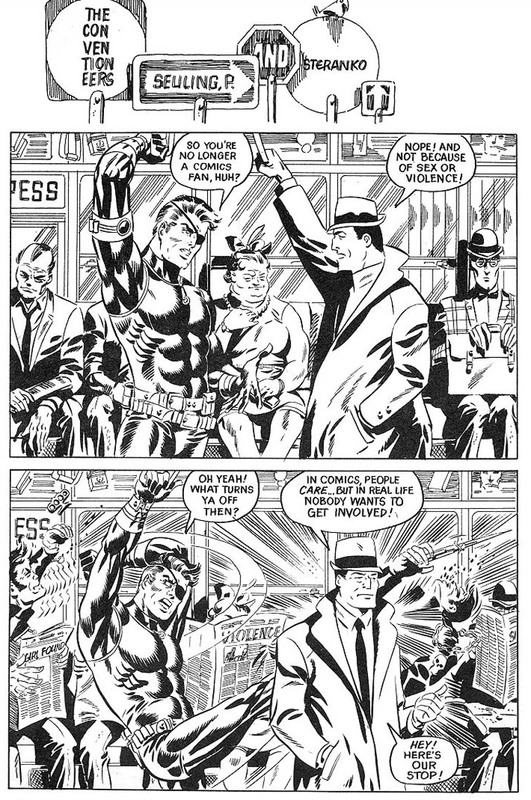 The writing is by Phil Seuling and the pencilling/inking/lettering is by Jim Steranko. A quick annotation that the art is ©1968 by John Benson, and then I say Enjoy! 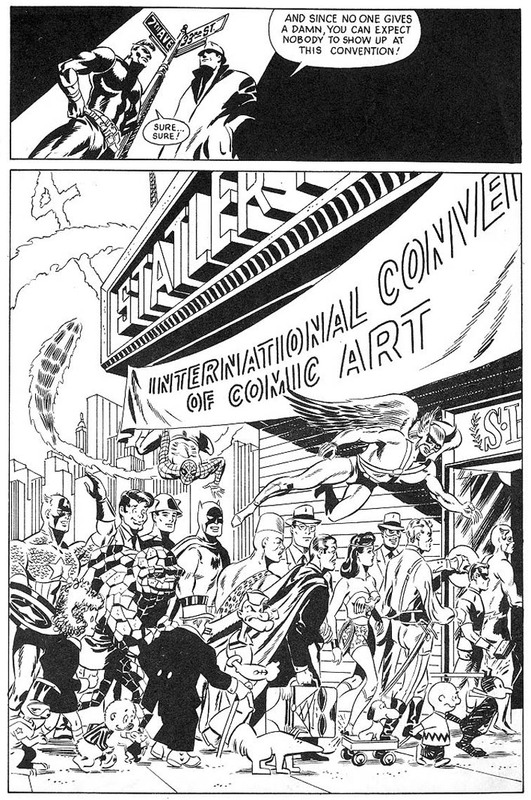 I always liked the super-clean drawing style of Martin Naydel. The gentleman began at DC Comics in 1943 by drawing McSnurtle the Turtle (which was probably written by the great Sheldon Mayer). I had always thought that McSnurtle's second identity of Flash knock-off The Terrific Whatzit occurred after the series had been established for a while, but no! 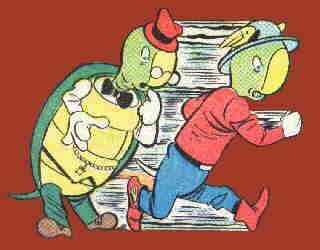 Both of the characters pictured above started appearing in the very first issue of Funny Stuff in 1943. 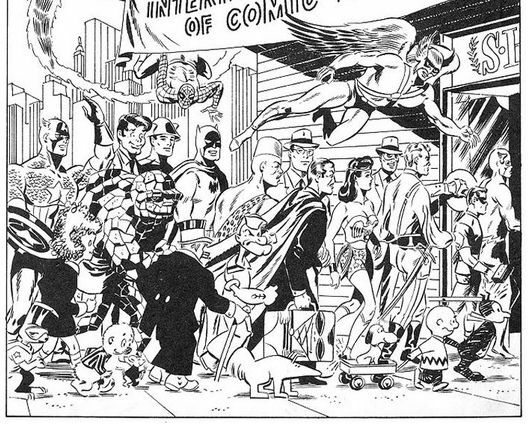 Mr. Naydel crossed over into the full-fledged superhero genre and drew All-Flash comics and even the Justice Society of America in All-Star Comics, and he certainly drew a multitude of puzzle-type features that appeared in so many of the DC titles (while Mr. Henry Boltinoff drew the many gag strips that were published throughout the DC line). 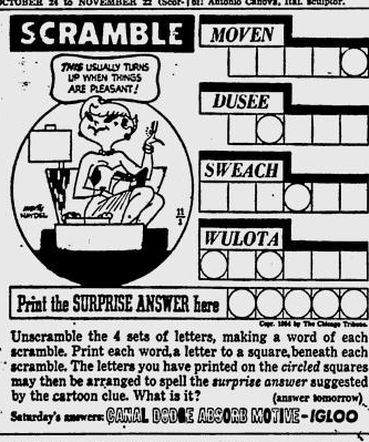 And I am amazed to learn today that Mr. Naydel was the creator of the Jumble newspaper feature that I have tussled with every morning for many decades (although from its 1954 inception until 1960 it was named Scramble). 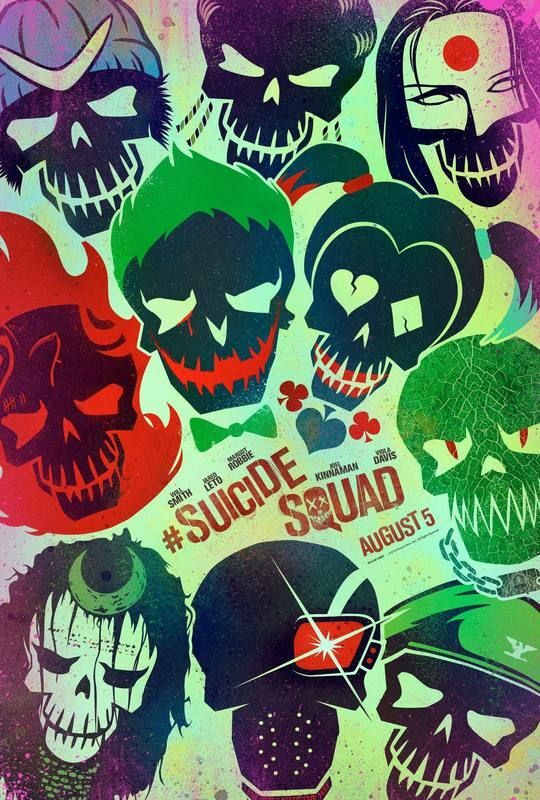 Posters promoting the new Suicide Squad film have been receiving acclaim for their offbeat design, and rightly so. I'll see the movie when it comes out on DVD but I'm in no particular hurry to suffer the loudness and the rudeness that almost certainly will accompany that experience. What the DC films need is to once again be adopted by a director as talented and as thoughtful as a Christopher Nolan or a Tim Burton. Will it ever happen again? Fingers crossed! If you're an old-timer like me you'll probably remember the Deadworld series by Vince Locke. That zombie comic began in the mid-1980s; it kept dying and then getting resurrected (much like zombies themselves are wont to do). I haven't thought about that comic book in decades, but I saw its instantly recognizable logo on television last week! I was watching Wild Travels, a show on public television that takes road trips to unusual destinations throughout the United States. The most recent episode featured a visit to Pops 66 Soda Ranch in Oklahoma. 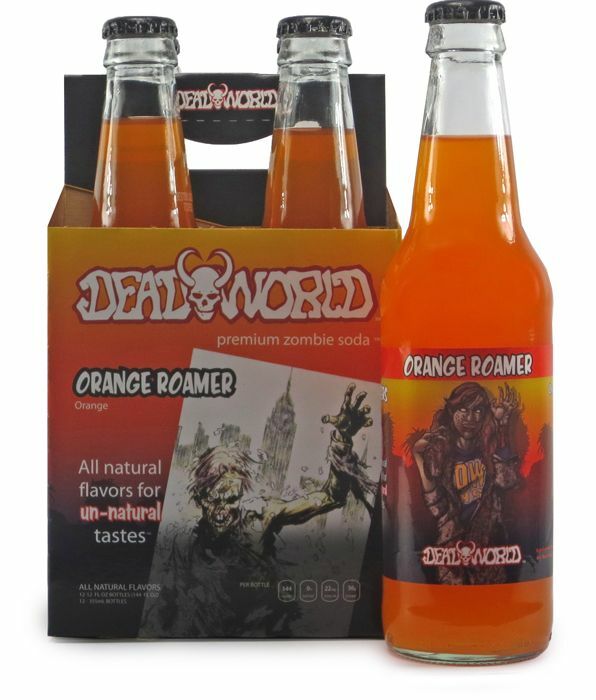 Oozing off the screen at me was a bottle of Deadworld Zombie Soda (which must be doing very well because there are twelve different flavors!). 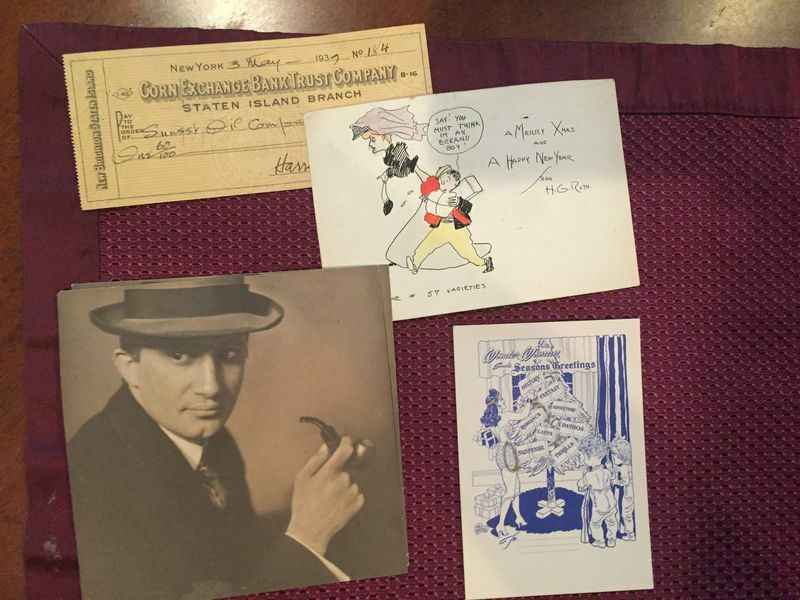 An interesting lot of personal effects from the estate of original Wonder Woman artist Harry G. Peter is now up for bid on ebay! 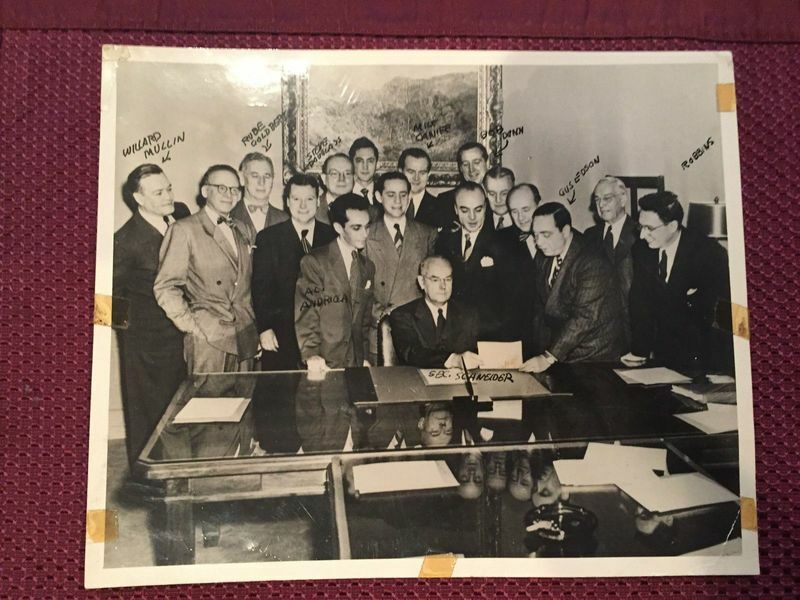 Maybe you'll be interested in the National Cartoonists Society group photo shown above, featuring Rube Goldberg at third from the left and Frank Robbins at far right. Or maybe you're curious to see a Wonder Woman Christmas card that Mr. Peter drew, shown below. The lot even includes the gentleman's wedding certificate! The bidding lasts a few more days and, while it's available, you can investigate the auction description over here.